Tom Wylie and Kaye Kulesh scored 0.36 masterpoints with a 49.1% game at Bridge On Shea. See full results of this game. Barry Smith and Robert Bridge scored 2.05 masterpoints with a ★60.58%★ game at Bridge On Shea. See full results of this game. Barry Smith and Robert Bridge scored 1.53 masterpoints with a 54.86% game at Bridge On Shea. See full results of this game. Barry Smith and Robert Bridge scored 0.97 masterpoints with a 52.55% game at Bridge On Shea. See full results of this game. 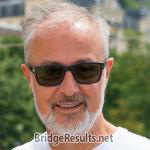 Tom Wylie and Kaye Kulesh scored 0.28 masterpoints with a 52.56% game at Bridge On Shea. See full results of this game. 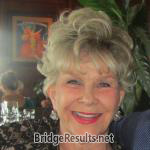 Kathy Litterman and Edward Schwartz scored 4.67 masterpoints with a ★63.96%★ game at Bridge On Shea. See full results of this game. Jean Whelan and Beverly Eaton scored 0.28 masterpoints with a 49.3% game at Bridge On Shea. See full results of this game. 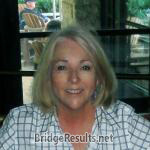 Mike Copeland and Kaye Kulesh scored 0.19 masterpoints with a 50.26% game at Bridge On Shea. See full results of this game.